It’s that time of the week when we take a quick look at the this weeks top films around the UK including animated adventure Coco. These figures are for the top 10 cinema charts January 19 2018. Here are the top 10 box office movies this week including three new entries and a new number one film. Coco knocks Darkest Hour off the top of the film charts with cinema takings of £5,209,214 which is very good business for the Disney film. That means Darkest Hour drops into second place. At three is another new entry with Steven Spielberg’s The Post starring Tom Hanks and Meryl Streep, whilst Liam Neeson’s action movie The Commuter enters at a disappointing number seven. Elsewhere Star Wars: The Last Jedi drops from number six last week to ninth place. Meanwhile it’s time to say goodbye to Paddington Bear as Paddington 2 exits the top 10 falling to number eleven but has made Studiocanal a fortune with gross to date figures of £41,406,603. Looking for a DVD/Blu-rays to watch at home here are a few reviews? 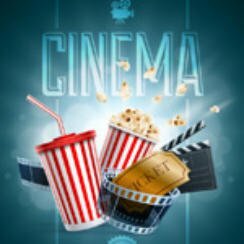 Don’t forget to check back on later on Thursday as we take a look at this week’s new cinema releases along with their movie trailers.